2017 has been a year marked by change and growth in Chestermere. “We constantly experience change in Chestermere…but certainly we had more change than usual,” said the city’s Director of Corporate Services Tracy Buteau. The theme of change has played itself out across her work year as Buteau went from her regular job as Director of Corporate Services to Interim Chief Administrative Officer (CAO) in April before returning to her regular position with the naming of a new Interim CAO at the start of December. While the changing of roles has been a lot of work for her personally, the biggest change at city hall in 2017 came with the election of a completely new council on Oct. 16. While in general the election was a success, Buteau admits that there are improvements to be made for the next municipal election. “I think the election didn’t go as well as we wanted it to go,” she said. Since the election and subsequent review, Buteau said they have heard from residents that they weren’t pleased with the overall process. “That was disappointing for us,” said Buteau. The city has already started work on learning from and improving the process for the next municipal election in four years. With a brand-new council, city administration has been busy providing orientation briefings to council to bring them up to speed on what each of the city departments are working on. “We have put in close to 50 hours of orientation for new members of council to help them get up to speed,” said Buteau. This orientation period has been one of city staff’s biggest successes of the year she said. “I think we did…a very good job,” said Buteau. While the new council has been hard at work getting up to speed, 2017 held several achievements for the outgoing city council. Significantly for the previous council, Municipal Affairs completed the review of council that was started in response to a 2016 resident petition. After review, no investigation was deemed necessary. City Council, both old and new, have worked hard to direct and shape the city’s future growth with the approval of several new developments. The South Shore outline plan will see the addition of almost 1500 new residences to the city when complete. Council also approved the Chelsea and Bridgeport outline plans. These new communities will allow Chestermere to continue its rapid growth that showed no signs of slowing down as the city’s population passed the 20,000 mark in 2017. City council also approved a planned lots bylaw update allowing for smaller houses to be built in Chestermere. The most important development, as far as securing the future affordability of Chestermere, was the approval of the Webster Industrial Park and the subsequent start to the marketing and sale of lots in the park. “I am very pleased to say that 28 per cent has been spoken for in terms of letter of intents we’ve received,” said Buteau. The city has also hired a firm to do the subdivision plan and detailed engineering plan for the park starting early in 2018. Not all of the city’s development related goals were as successful though. Chestermere lost its appeal to stop Rocky View County’s Conrich Area Structure plan development. The city had argued that the plan will have severe detrimental effects on Chestermere. “Although we’re disappointed with the decision, we did our best to protect Chestermere’s interests in future development opportunities,” said Buteau. Several projects were also completed in Chestermere last year including the opening of Cornerstone Park, naming of the beach volleyball courts and the start of the rehabilitation of Cove Beach. “We’re proud of our achievements in 2017,” said Buteau. 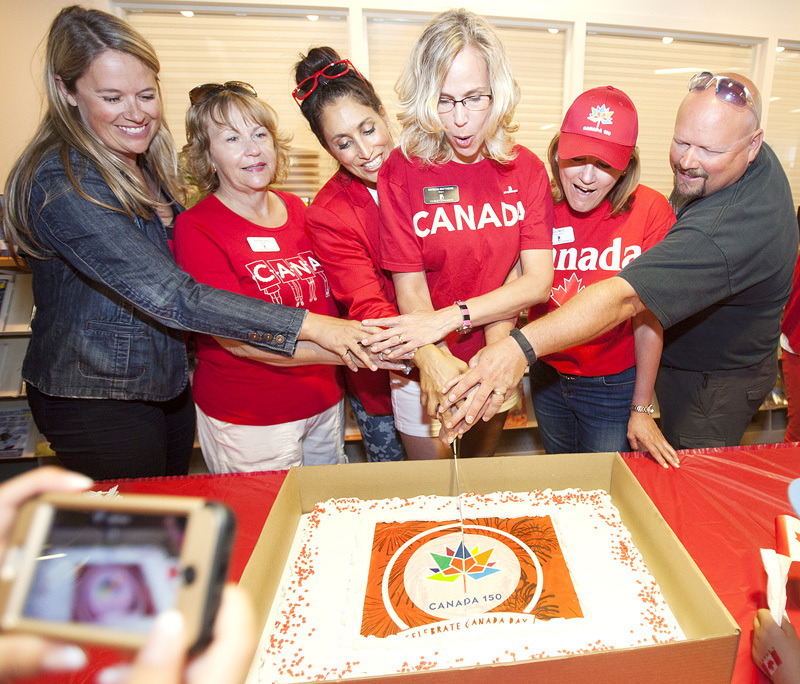 Other highlights of the past year include the Canada 150 celebrations, Chestermere’s seasonal festivals, Water Festival and the Winter Lights Festival. “It was our second Winter Lights Festival and we had a great turnout for both the events,” she said. The city also held an open house for emergency management and public works day, participated in the annual Earth Hour. “We placed seventh out of 29 for Alberta municipalities that participated,” said Buteau. Looking forward to the new year, Buteau expects that while Chestermere will continue to grow, the pace and rate of change will slow down. She said that as they shift their focus at the city to the coming year staff are ready for the new challenges and strategic plan ahead of the city as the new council, interim CAO and administration work to realize council’s new vision for Chestermere in 2018.